This easy raspberry pie is a great summer dessert, or enjoy it any time of the year. Frozen raspberries, pudding mix, and cream cheese make this a tasty and easy pie to prepare. Prepare it in a graham cracker or cookie crumb crust for an easy, no-bake summer pie. 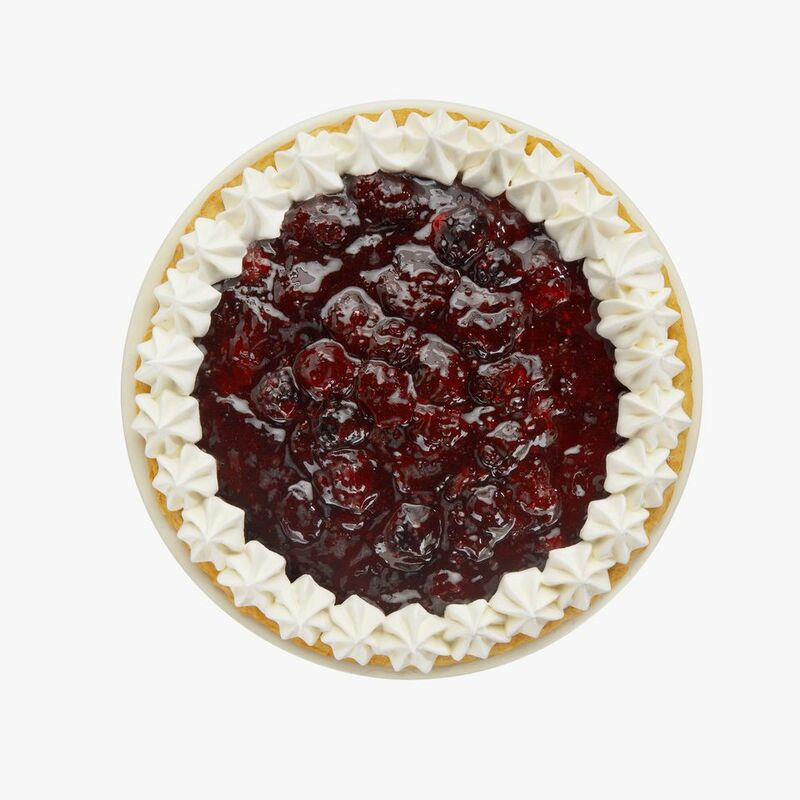 And feel free to vary the berries in the pie. Add some frozen blueberries and blackberries along with the raspberries for a mixed berry pie. Prepare pudding mix according to directions on package. Blend in cream cheese with electric hand-held mixer. Add almond flavoring and stir until smooth. Pour into baked pie shell; refrigerate. Dissolve gelatin in boiling water. Drain the juice from thawed raspberries into a measuring cup and add water to make 3/4 cup of liquid. Add the juice mixture to the dissolved gelatin. Stir in the sugar; chill mixture until slightly congealed. Fold in the drained raspberries and chopped nuts. Spread raspberry layer carefully over the chilled pudding and cream cheese layer. Cover and chill until the pie is set. Serve with a dollop of whipped topping or fresh whipped cream. Fresh whipped cream: Add 1 cup of cold heavy whipping cream to a deep bowl. With an electric mixer, beat the cream until it is almost thick. Add 3 tablespoons of confectioners' sugar, or to taste, along with 1 teaspoon of vanilla extract. Beat until it holds peaks. Don't overbeat. Add a tablespoon of raspberry liqueur instead of the vanilla, if desired.